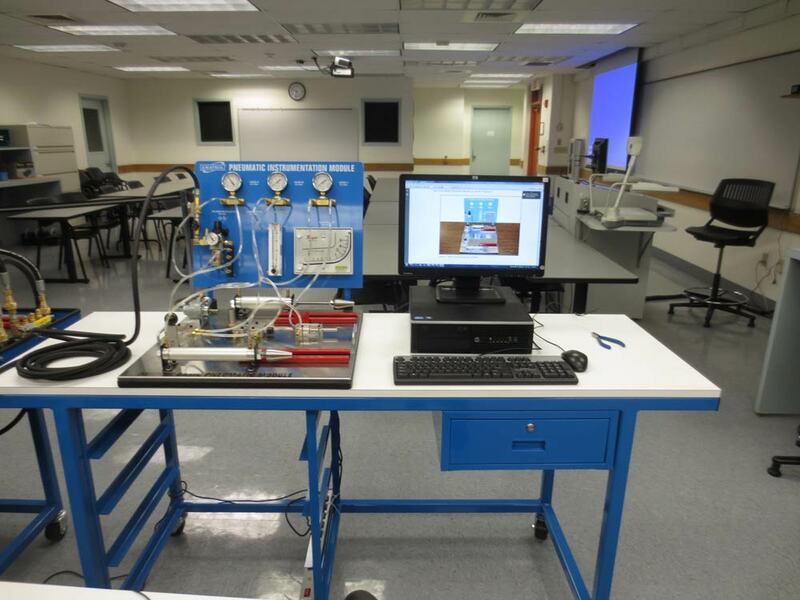 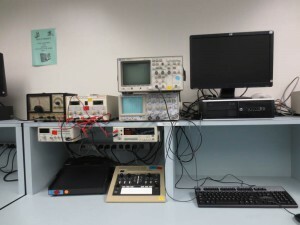 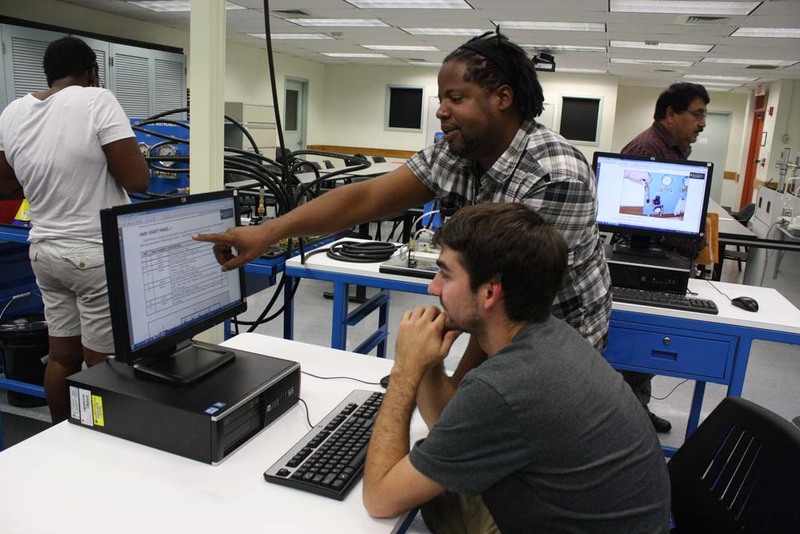 The Engineering Technology AS degree at Broward College offers a planned sequence of instruction tailored specifically for 3 specializations: Electronics, Alternative Energy, and Biomedical Systems. 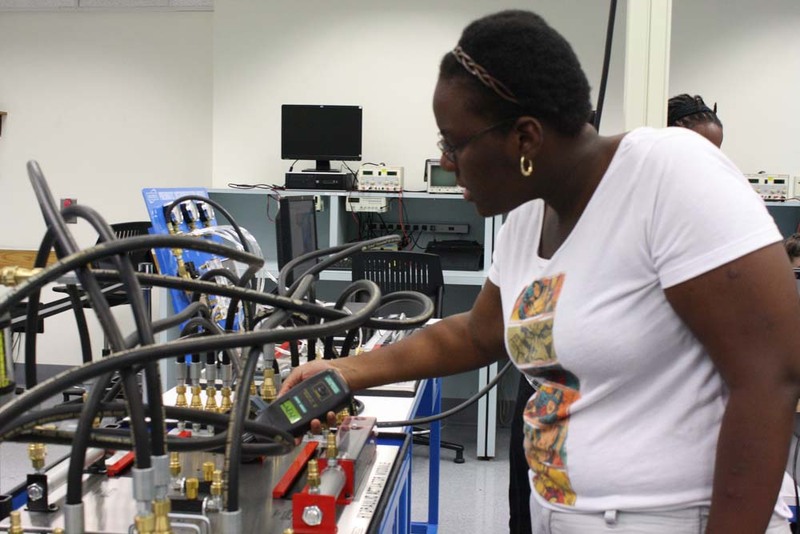 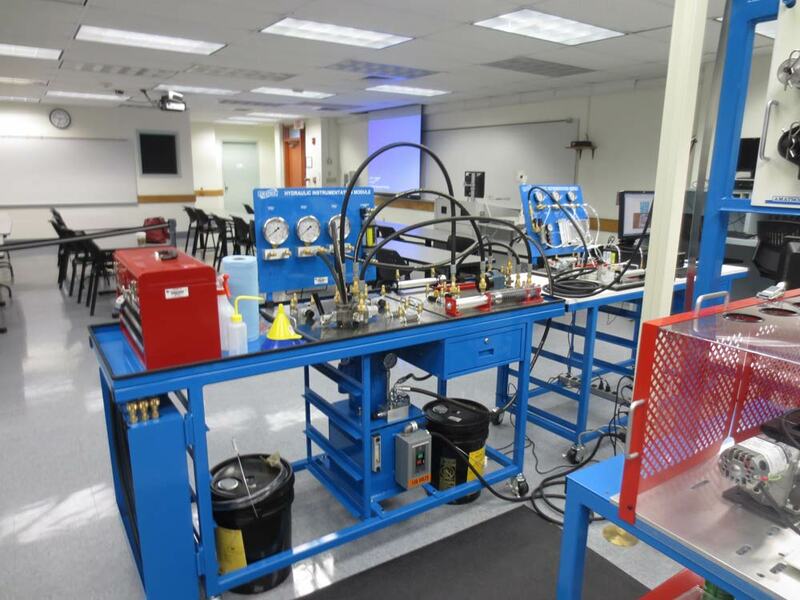 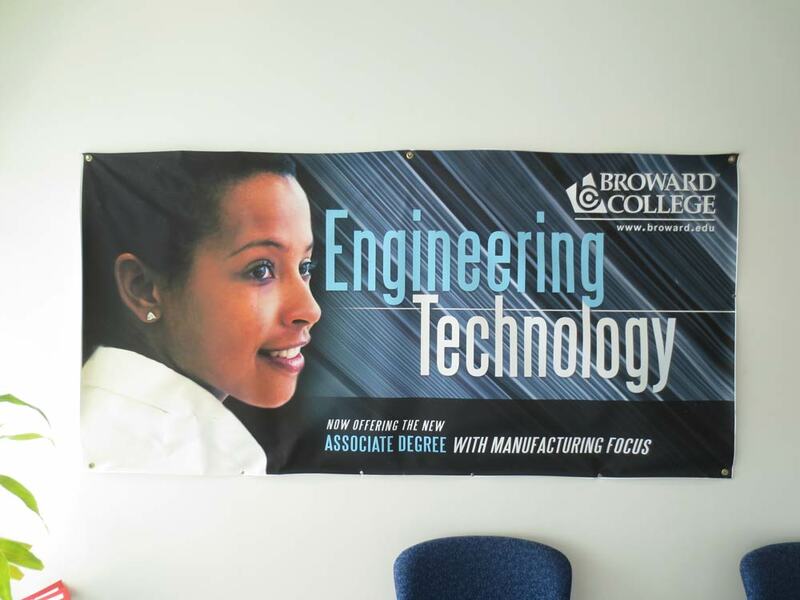 Broward College’s ET Degree supports a broad range of high tech manufacturing and high tech industry sectors including precision machinery for aviation and transportation sectors, food and beverage production, electronics and avionics and others. The 18 credit hour technical core is aligned with the Manufacturing Skills Standard Council’s (MSSC) skills standards. 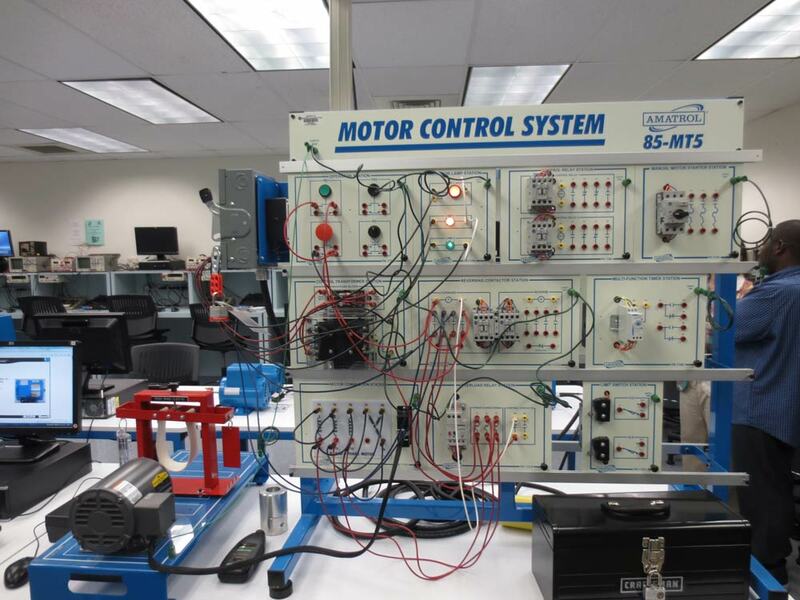 After completing this core students will be prepared to take the Manufacturing Skills Standards Council (MSSC) assessments for the Certified Production Technician (CPT) certification and 15 credits of the ET Core can be articulated for a current MSSC –CPT credential. 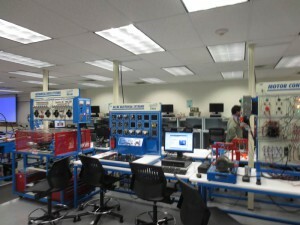 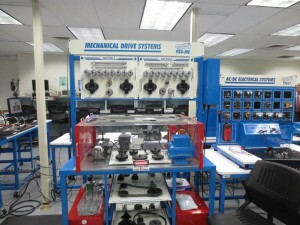 The Advanced Manufacturing Lab at Broward College is located on the Coconut Creek (North) Campus. 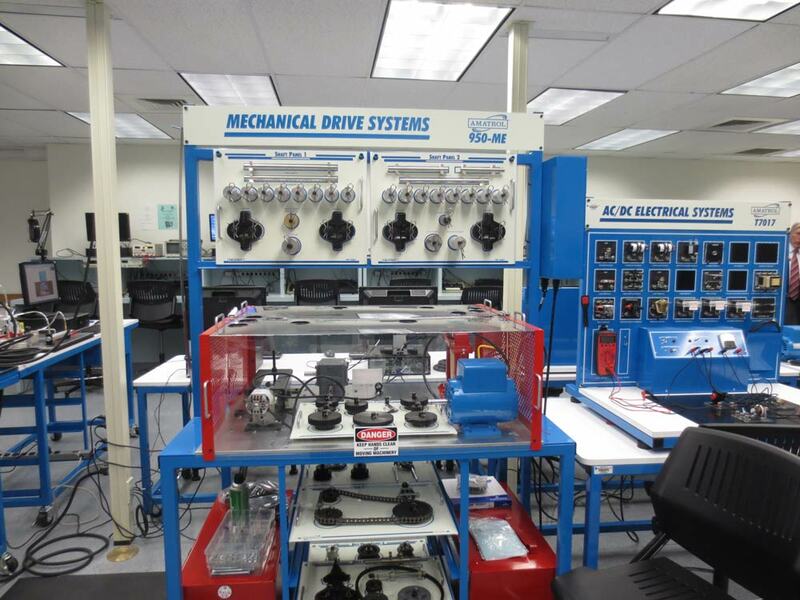 The lab is home to hands-on trainers for mechanical drives, hydraulics, pneumatics, motors and controllers, AC/DC power, and electronics. Separate facilities are dedicated to training for alternative energy (solar energy) courses and programmable logic controllers.